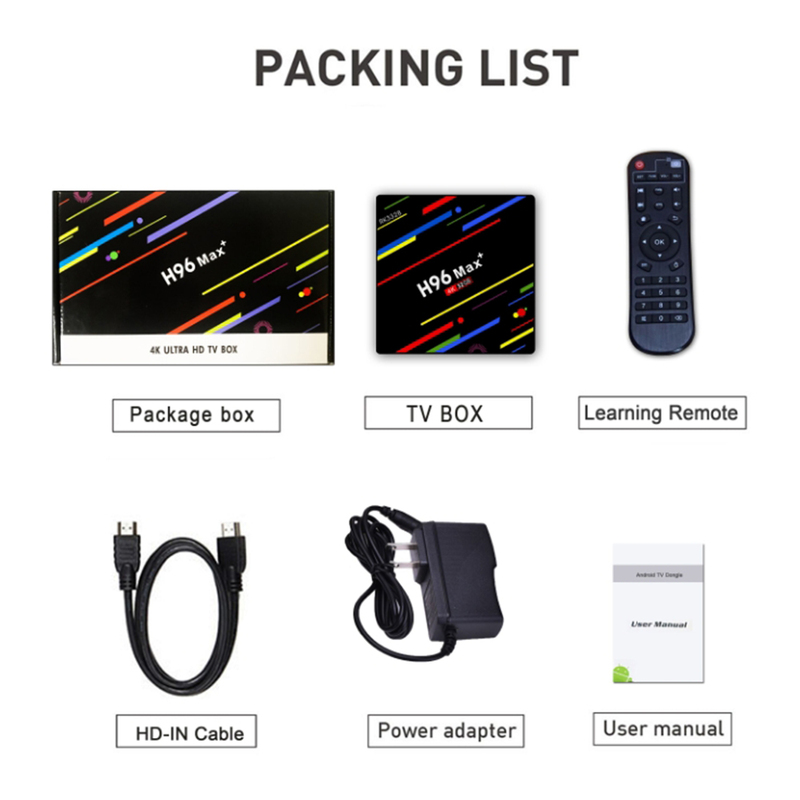 ★ H96 Max+, a high-performance Android TV Box, which is specially designed for entertainment life. 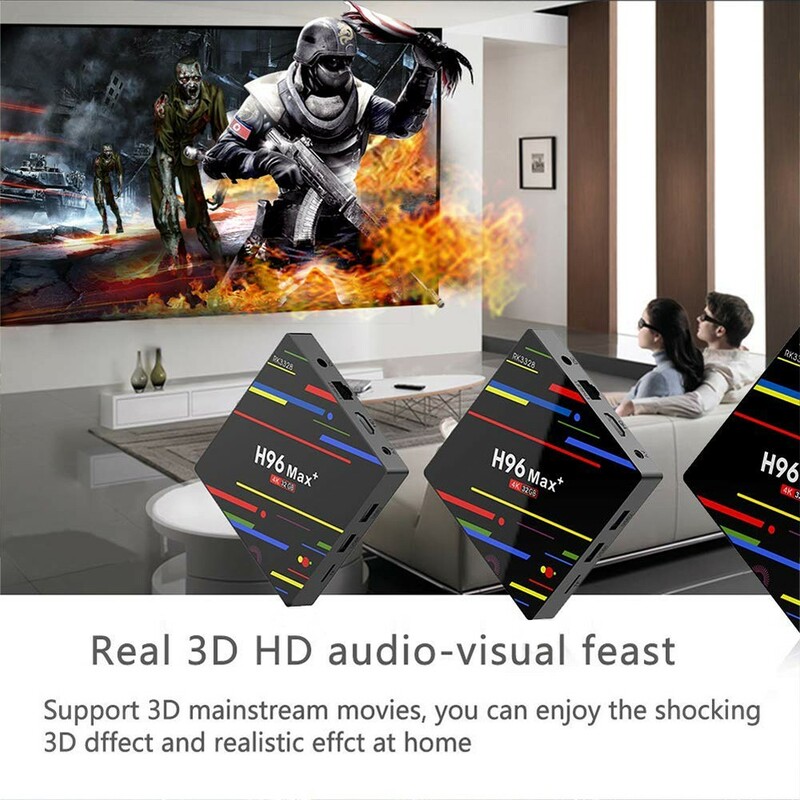 ★ H96 Max+ Android 8.1 TV Box can change your traditional TV, LCD monitor or projector with HD input port into a multimedia center by connecting the Internet (via WiFi or RJ45), just like a computer. It can combine the internet and the traditional TV to build a new entertainment system. 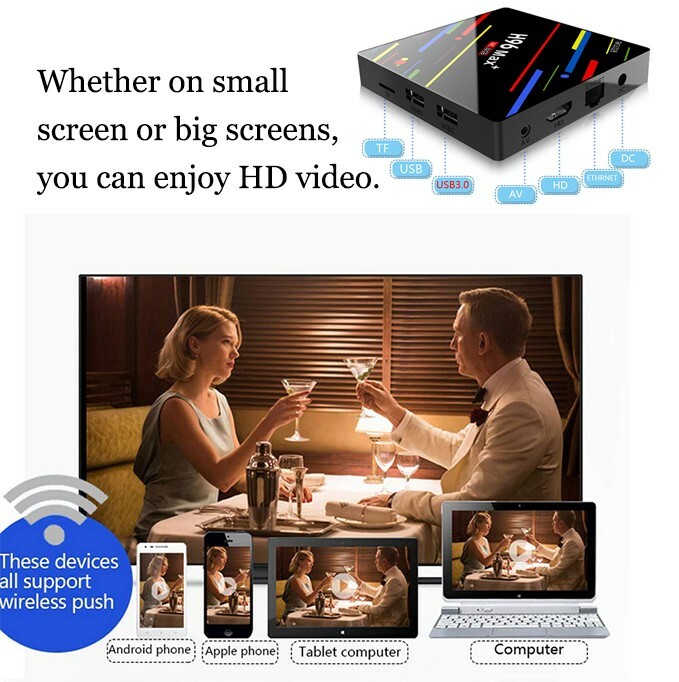 ★ No matter for you or your whole families, this TV box can become a nice device for leisure. You will always remember the best time with it. 1. Latest 8.1 OS. Ultra strong compatibility of Android 8.1 operating system, 4GB 32GB can be perfectly compatible with majority of Android APP. 2. 4K Super Clear. 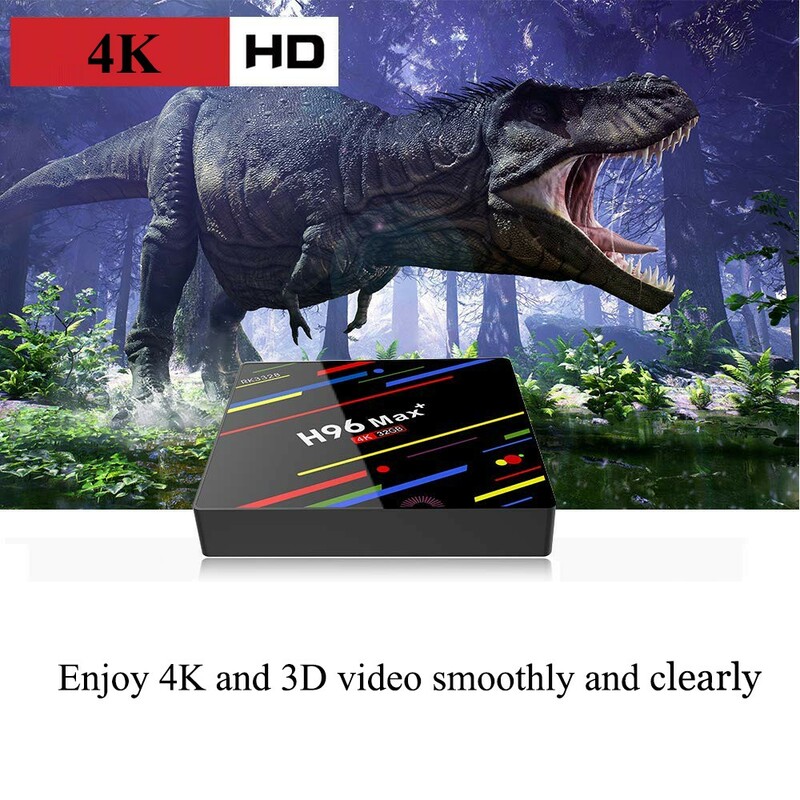 Comes with video outputs 4k*2k H.265 60fps HW decoding and 3D, you can enjoy 4K and 3D video smoothly and clearly. 3. 4 USB Port. Built in 2.4G WIFI and LAN, HDMI port, supports keyboard/mouse via USB or wireless. 4. DDR3 Ram. 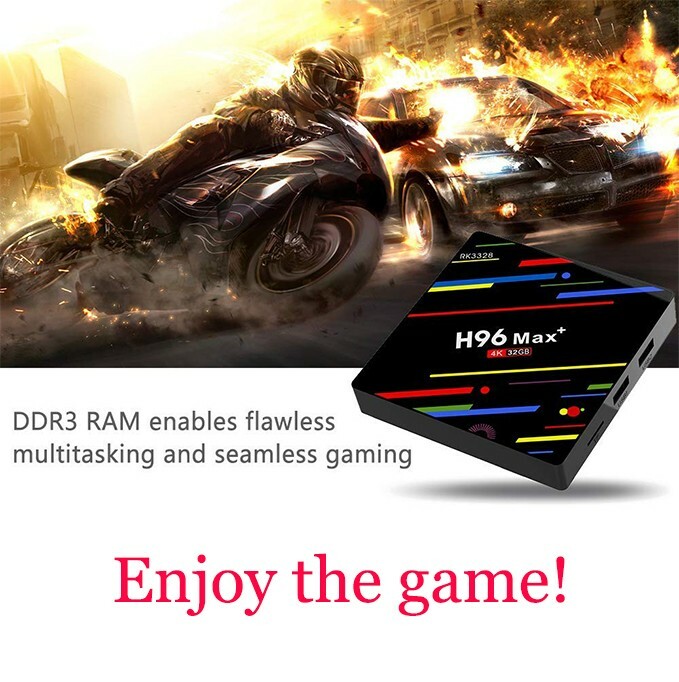 DDR3 ram enables flawless multitasking and seamless gaming. 5. 32GB Large Capacity. With 32GB space, it can satisfy you to install the applications software and the following operations after the game. 6. 4 times the experience speed. 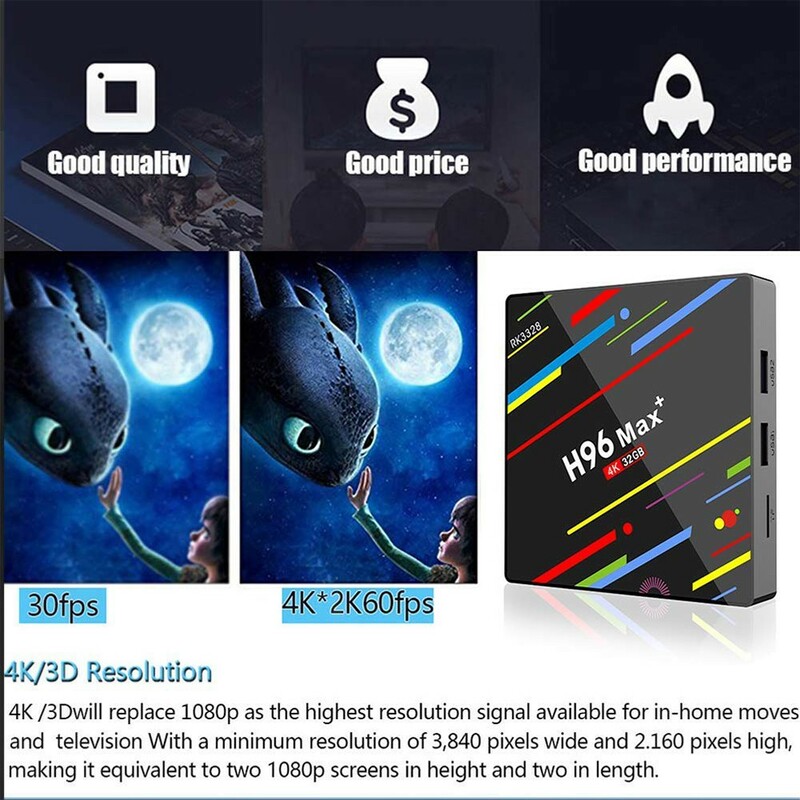 The 4GB operation brings a faster user experience and the 4GB box has a faster response speed compared with the 512M storage in the normal box on the market. ◆Other features: Free Internet searching, thousands of android applications, many kinds of games, etc. 1.The colors deviation might differ due to different monitor settings.